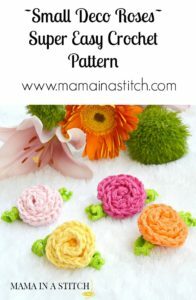 A while back I made some little roses and had intended to share the pattern. It totally slipped my mind until someone requested that I post it. I bought a pretty bouquet of flowers for myself (that’s right, I don’t wait for someone to buy me flowers – I just buy them up myself 🙂 ) which inspired the color choices for these little buds. I completely cheated on the leaves, and aren’t they fun? They are just made of pom-pom trim that I cut and tied to the back (see assembly pictures below)! These roses are really cute and little as they measure less than 2 inches wide, and 3/4 inches tall. They are small and fairly flat which make them nice to add to small items. I’m picturing hair pieces, clutches, and pins, but the possibilities are endless. 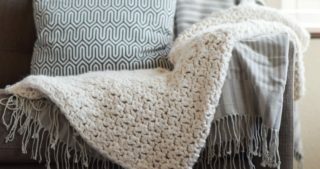 They are made and finished in only two short rows, so they are a breeze to whip up. That’s it! Enjoy your flowers! Have you made flowers before? I made a bunch of these and am trying to figure out what I want to do with them…..any ideas creative ideas? 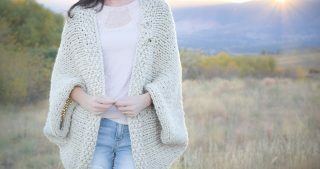 If you liked this, feel free to subscribe to my newsletter or blog to see more free and easy patterns! 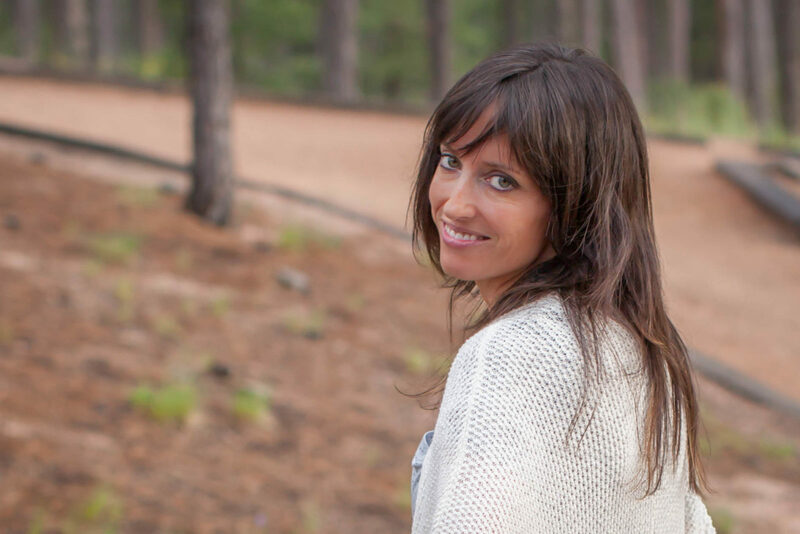 Follow me on Facebook, Instagram or Pinterest! So glad Isabel! Thank you! I have made roses using a different pattern, they look a little different. I use them as buttons on purses I have made, and decorate childrens hats. I could see them all over my bedroom lamp shades. MaryLynn, You just made my night! Thanks for the nice words! Oh, great..I`m so glad, Margaret! 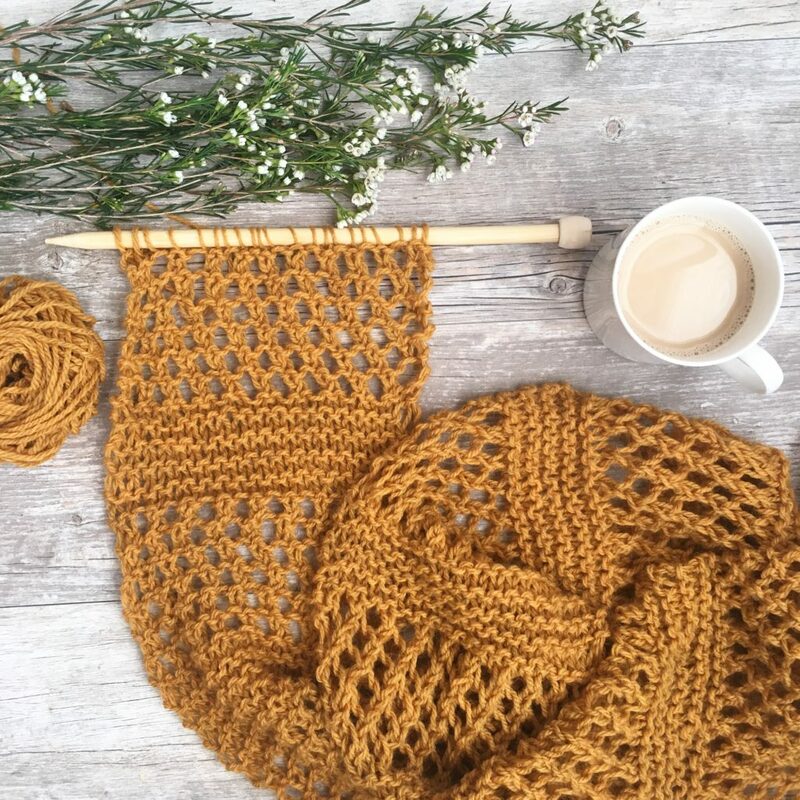 I’m teaching myself to read patterns and this pattern I understand I can’t wait to make it. Thank u soo much. These are really cute and can be used in so many ways! FANTASTIC, SO MUCH EASIER THAN THE OTHERS, will really b happy to make these it means a lot to have thoughtful people like u. 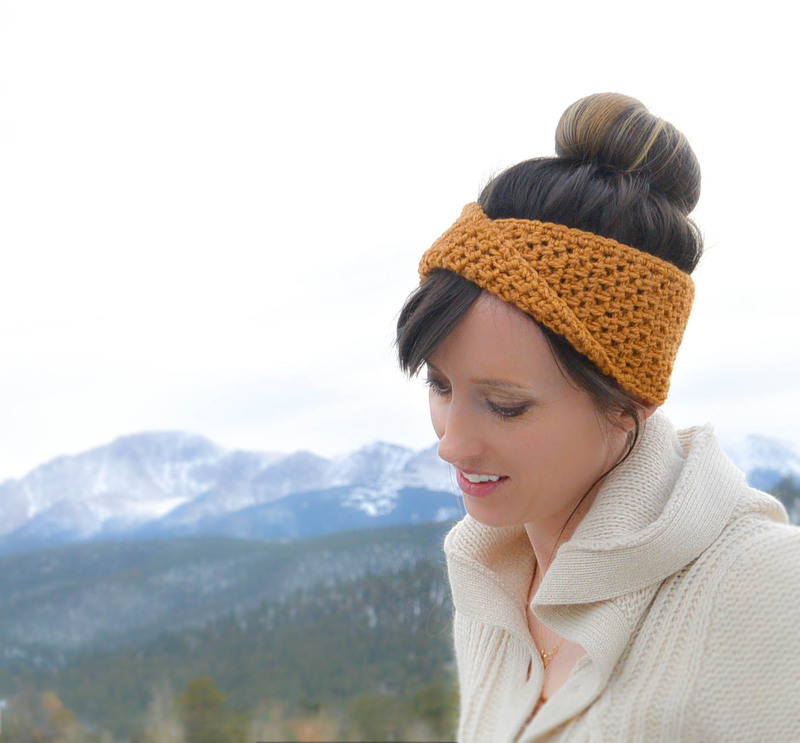 Would you be able to make these with worsted weight yarn rather than cotton yarn? They will turn out great….you can always use a Size G hook as well. 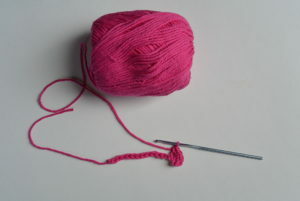 They will turn out a touch bigger, but it will be easier to grab the yarn. I just liked the smaller hook to make them tighter and small 🙂 Have fun! Hope you love them! Ha ha! I know, they are so easy it’s ridiculous Glad you like them….I will have to think of making coils for my Aunt’s beloved cat! 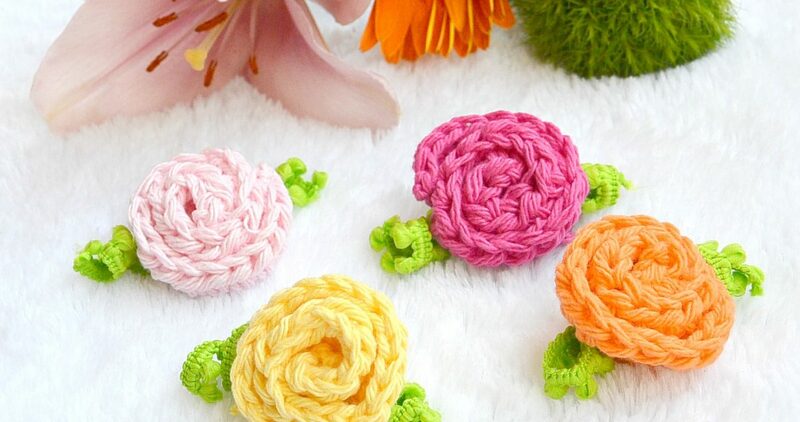 There are many things you could decorate with such cute little flowers. Headbands, totes, crocheted baby shoes or sandals, robes, attach to a ribbon on a gift, put them on hair clips or bobby pins…. Hi Sue! Thanks for the ideas. I especially love the thought to put them on clips or on gifts! I never thought about gifts and I think that would be so special. I don’t know what I do wrong, but I can never get the rose to coil right, so frustrating to see others who have made this pattern, without any difficulty! Hi Cathrin – So sorry you’re having difficulty…it happens to the best of us. Let me see if any of these ideas might help. I am sure you already are, but are you using the right yarn and needle size? 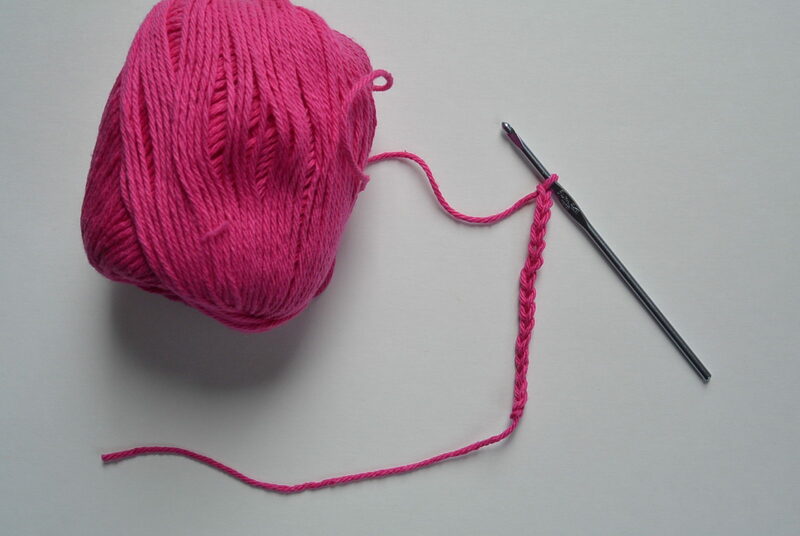 Then, are you making 2 single crochet stitches into each stitch? This is the important part to make it coil. It should be naturally curling as you crochet. If it isn’t something is being done wrong. Hmmm…I hope this helps! Thanks for the tip. I finally got my rose to coil. 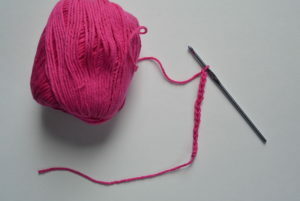 What I did was use a thicker yarn, worsted weight and used a smaller hook to make the sc. 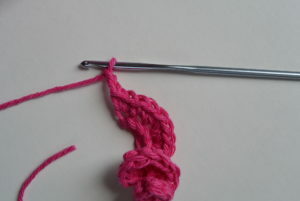 Then changed to a larger hook so the stitches were bigger and not tight. 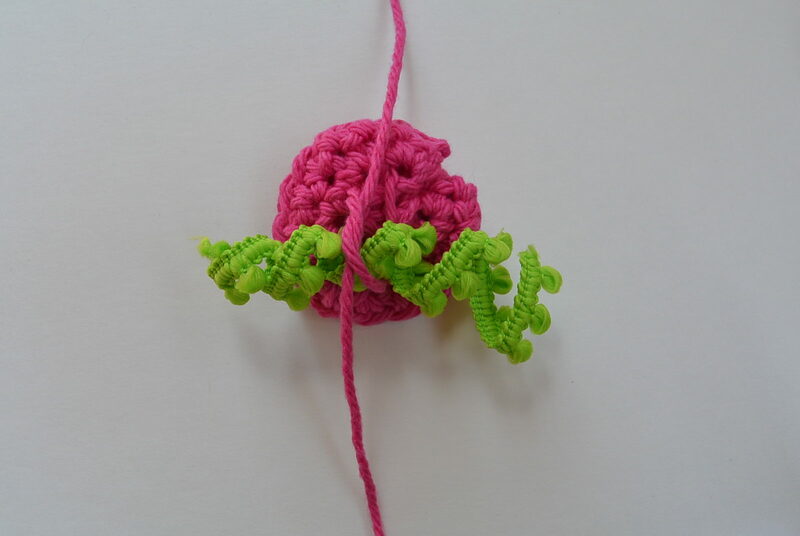 The flower was coiling as I made dc. and I just had to sew the petals together. I found if I pulled on the last coil, the flower looked more like a rose. I guess I sort of folded the last part, down so it took on a 3 dimensional look. I hope you can understand what I’m trying to describe to you. 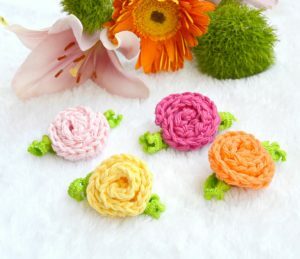 Hi Jessica,these little roses are so delicate and such beautiful colors! I’m going to try to make one. I have trouble understanding patterns! 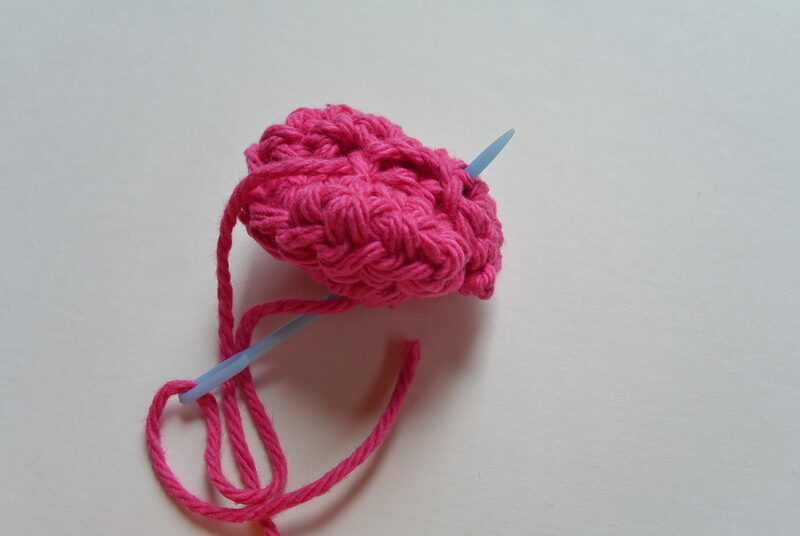 I am new at crochet. I prefer to most always use cotton yarn.I just can’t believe how beautiful these roses are! My husband also likes them!! Hi Chris! I’m so glad that you like them, and thanks for the sweet compliment! Wow – they must be good if even your husband likes them ;)! I would love to know how they turn out for you when you make them. Let me know if you have any questions. Oh forgot to tell u I chain 25 instead of 15! I’m glad it worked for you! 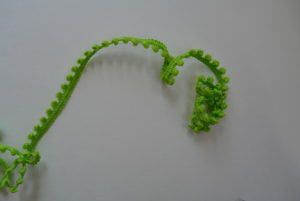 The pattern is really forgiving, so I am glad you like it by chaining 25. Thanks for letting me know! Going to try and make these soon. Maybe a matching pair in hot pink!? As pigtail accessories? Celebrating that my daughter, 3 years old, finally has enough hair for pigtails!!! Thank you!! Oh, how I can relate, Amy! My little one still can’t wear real pig tails. Congrats to you on the hair – ha ha! I love your idea of two pink roses! Thanks for the pattern. 🙂 I love how you make your leaves. I am going to give this a try. Thank you for sharing your pattern. I made one to put on an infant hat. The only trouble I’m having is the “leaf” trim (I got the one you used from Hobby Lobby) won’t stay curled. Thinking about just gluing it unless you might have a different suggestion? You’re welcome! Sorry that it’s not curling right for you. Maybe my trim was extra curly because it’s still curled. My only other thought might be to take the trim, and rather than curling, to fold it in half – under the flower. 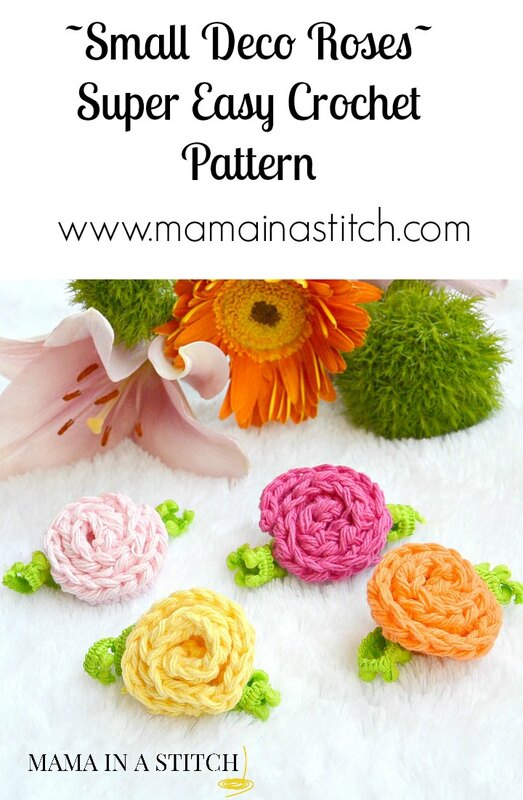 In this case you could see it peeking out from under the flower ( you could make the piece “leaf” as big as you’d like) Then I would take a sewing needle and thread and sew it down to the flower (probably in the center) Does that make sense? Thanks for sharing in case anyone else has this issue. I have used the flowers to cover spots and holes in clothes that are too good to throw out. Great idea, Judy! Thank you for sharing! Thank you dear Nonette. I’m glad you like the pics with my daughter, they happen to by my favorites. 🙂 Thank you so much for your kind words and taking the time to let me know that you like it. Thank you!! I am attaching these to a sweater that I just made for my 3 year old. I will post a pic, when it’s finished. I’d love to see a picture! Post it to my Facebook page or email me at [email protected]. These little roses are so cute. 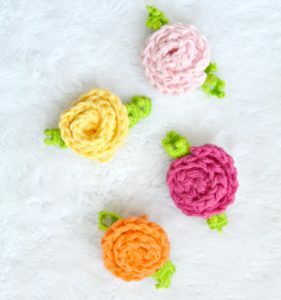 They will be added to a crochet flower wreath that I am making for a soon-to-be 95 year old friend for on the door of her room at the retirement home she lives in. So many of the ladies that live there have wreaths on their doors and she wanted one also. 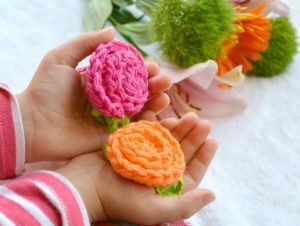 Your crocheted roses would be perfect as decorations for knitted or crocheted “twiddle muffs,” (along with colorful ribbons, lace, beads, etc. ) Great for hospice patients and anyone who suffers from stress, restlessness, Alzheimer’s, and in need of a calming, tactile diversion. 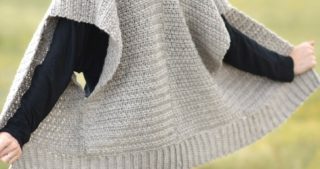 There are wonderful examples of finished muffs on the internet, and you can create to the limits of your imagination. I hope you will check them out and be inspired by the cause! (Maybe even design one?) Thanks for your great designs! Hi Penny – what a great idea. I’ve seen those before and sure wish I’d seen them just months ago when my granddad was suffering from Alzheimer’s. We were always looking for things for him to fidget with. Maybe others will see this and be able to use the idea. Thank you!